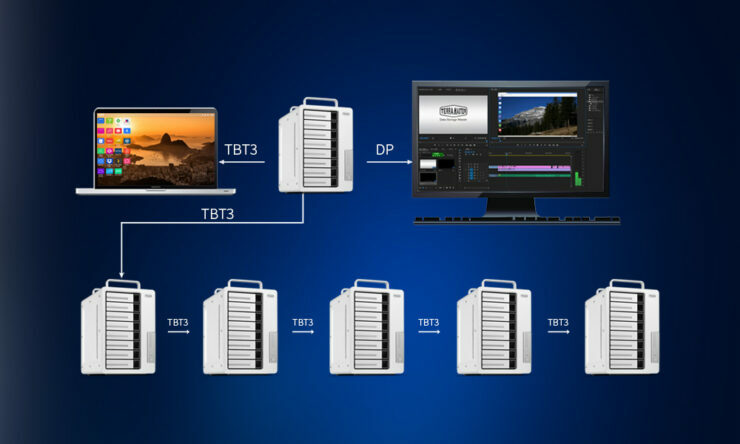 Recently, TerraMaster has officially released the latest generation of its Thunderbolt 3 RAID device, the D8 Thunderbolt 3 which they say can allow transfer speeds of up to 1600MB/s in RAID 0, this is possible with faster HDDs hitting 200MB/s writes and reads. TerraMaster assures blazing fast speed to pace up the post-production process for video professionals. The product also guarantees an enormous 96TB storage capacity, support for multiple RAID modes and high data security. 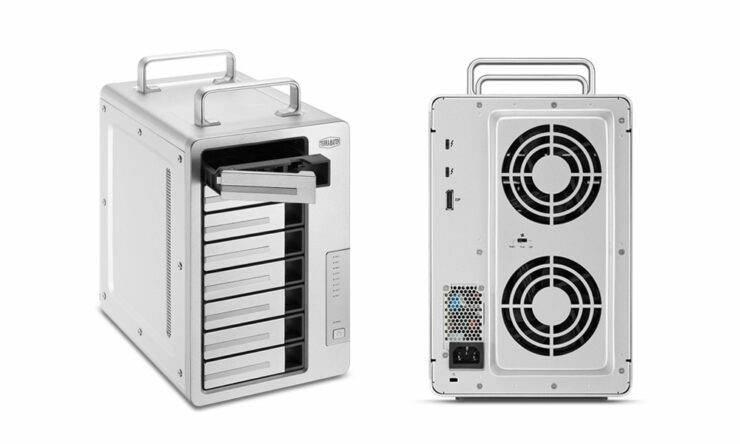 TerraMaster has said they are please to announce their newest 8-Bay “Professional Grade RAID Storage Unit” which uses Thunderbolt 3 for rapid transfer speeds, the unit is said to have a transmission rate of up to 40Gbps and can perform transfer speeds of 1600 MB/s if the drives are capable of hitting those sustained speeds. The product is also said to support other RAID modes like RAID 1, 5, 10, and 50. 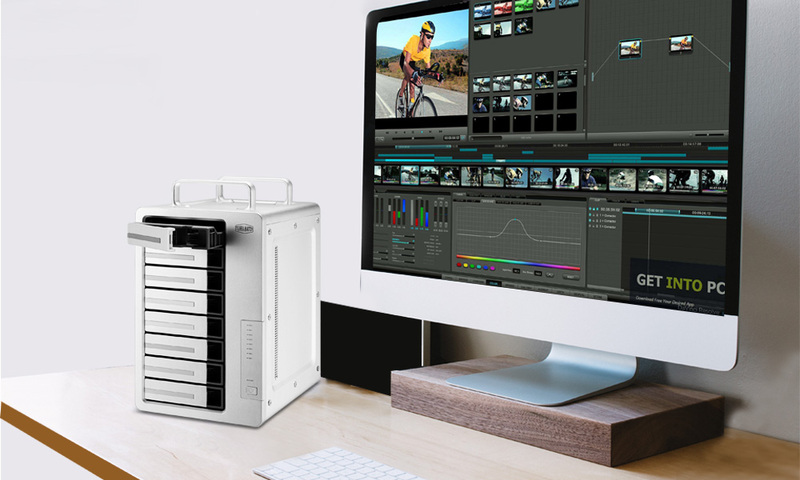 TerraMaster aims for this product to be used by video editors, photographers and other media professionals including all types of content creators who are looking for a high speed RAID Storage unit to share or keep data in their offices. They make sure to point out that Thunderbolt 3 is 4 times faster than the fastest USB 3.1 solutions.